If he ever pulls it off, Donald Trump's deal to build his long-promised wall on the Mexico border will be the biggest deal of his life. Building it would require a feat of negotiation and compromise with his political opponents that right now looks difficult, if not impossible, to achieve. It's a good job, then, that the US president authored a 1987 book called The Art of the Deal, a how-to guide to negotiating (that was actually written by Tony Schwartz). The book makes for interesting reading in the context of the battle to build the wall, and can help explain some of the actions and reactions from the Trump camp. It also helps show how, at times, the former hotel and casino magnate is failing to follow his own advice. Early on in the book, Trump offers 11 key pointers on how to win your way. We've taken a look at six of those points, and how they apply to his fight for the wall. I like thinking big. I always have. To me it's very simple: if you're going to be thinking anyway, you might as well think big... I wasn't satisfied just to earn a good living. I was looking to make a statement. I was out to build something monumental, something worth a big effort. How does this apply to the wall? How big is big? How about 1,954 miles (3,145km)? That's the length of the US-Mexico border, about 650 miles of which is already lined with various types of fencing. On 16 June 2015, when Trump launched his presidential campaign, he made the biggest of promises, one which grabbed plenty of headlines soon after. 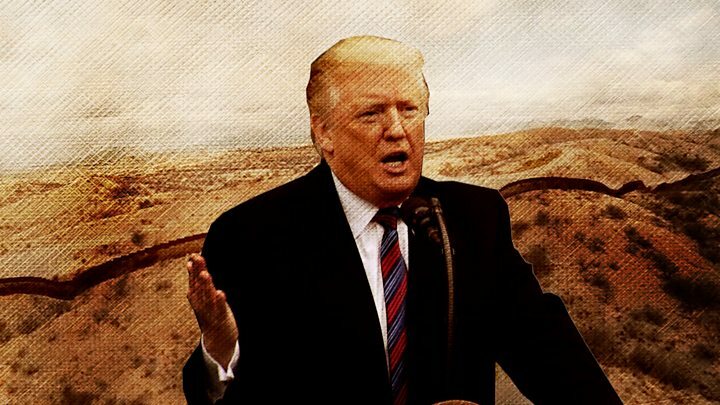 "I would build a great wall," he said, "and nobody builds walls better than me, believe me, and I'll build them very inexpensively, I will build a great, great wall on our southern border." He went on to win the biggest of upsets, and was left to fulfil his promises. I never get too attached to one deal or one approach. For starters, I keep a lot of balls in the air, because most deals fall out, no matter how promising they seem at first. Apologies for mixing our metaphors, but Trump does not have a lot of balls in the air, because all his eggs are in one basket. It's the wall or nothing. The wall was one of his great campaign pledges, but he has struggled to deliver it. It's not quite "balls in the air", but he has shown a slight willingness to consider a new approach, although it appears this was forced upon him. Is there a "crisis" on the Mexico border? Well into his presidency, Trump was still insisting it would be a solid wall - the same thing he had promised the public from the start - and dismissing those who said it would take any other form. But his language has changed a little in recent months, and his former chief of staff said the idea of a solid wall was actually dropped early in his presidency. Trump now backs erecting "artistically designed steel slats", while still calling it a wall. Meanwhile, he insists no other border security options are feasible. The worst thing you can possibly do in a deal is seem desperate to make it. That makes the other guy smell blood, and then you're dead... Leverage is having something the other guy wants. Or better yet, needs. Or best of all, simply can't do without. Unfortunately, that isn't always the case, which is why leverage often requires imagination, and salesmanship. In other words, you have to convince the other guy it's in his interest to make the deal. The problem for Trump here is that he has little to no leverage when it comes to the wall - he wants it badly, and the Democrats, who don't, know how badly he wants it. Or even needs it. All the leverage is on their side. Arguably, the "imagination" we're seeing in 2019 is in Trump using the partial government shutdown as a negotiation tool (a tactic a majority of Republicans support, polls indicate). What might happen next with the shutdown? The longer some government employees go without being paid, the worse it looks - and this allows Trump to keep on blaming Democrats for not agreeing a funding deal. Unfortunately for him, it seems Americans are increasingly blaming him and not Democrats for the shutdown. Much as it pays to emphasize the positive, there are times when the only choice is confrontation.... when people treat me badly or unfairly or try to take advantage of me, my general attitude, all my life, has been to fight back very hard. The risk is that you'll make a bad situation worse, and I certainly don't recommend this approach to everyone. But my experience is that if you're fighting for something you believe in - even if it means alienating some people along the way - things usually work out for the best in the end. If Trump's desire for a wall is a fight, then we're not quite into round 10, but the opponents are certainly bloodied and the ring is looking a bit of a mess. Over the first two years of his presidency, Trump struggled to win congressional support for financing the wall. But doing so became almost impossible after Democrats, who have shown no enthusiasm for the project, took control of the House of Representatives earlier this month. The struggle to get Congress to back any sort of funding deal that includes money for the wall has led to a government shutdown, one the president insists he is willing to see continue until he gets his way. 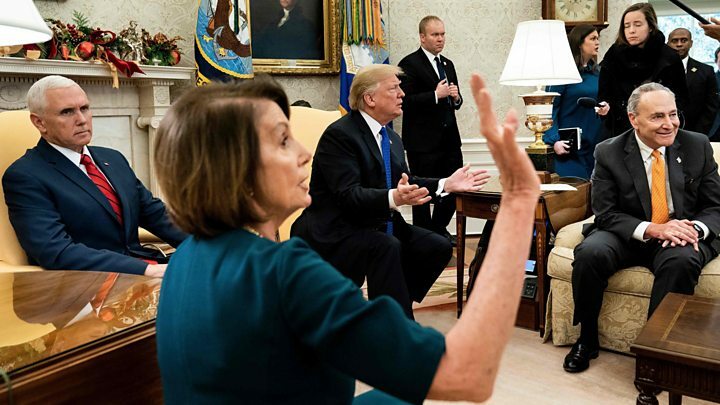 This week, it led to Trump walking out of a meeting with Democrat leaders, saying simply: "Bye bye." This might also be a negotiating tactic: he is said to have wanted to do just this (albeit in a more profane manner) when he fancied the job of negotiating a nuclear deal with the Soviet Union in the 1980s. You can't con people, at least not for long. You can create excitement, you can do wonderful promotion and get all kinds of press, and you can throw in a little hyperbole. But if you don't deliver the goods, people will eventually catch on. Well... so far, the goods haven't been delivered. But what does this mean for the president? Interestingly, a poll in December by Quinnipiac University showed that support for the wall was at highest in two years (even though a majority of Americans, 54%, still oppose it). 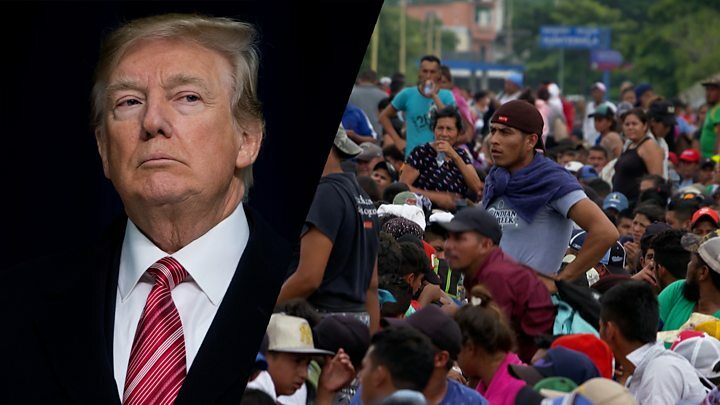 The poll was the first to be conducted since Trump deployed the military to the border in a move which he said would prevent the arrival of a large caravan of Central American migrants. But there are signs of tetchiness among Trump's base. Another poll, conducted by NPR, PBS and Marist from November to December, found that 63% of Republicans believed building the wall was an "immediate priority". Has Trump delivered on his campaign promises? How much of the wall has been built? And right-wing commentator Ann Coulter, among others, has been highly critical of the president for not fulfilling this promise. I don't kid myself. Life is very fragile, and success doesn't change that... The real excitement is playing the game. Is Trump enjoying playing this particular game? If he is, he hasn't given any indication that this is the case. 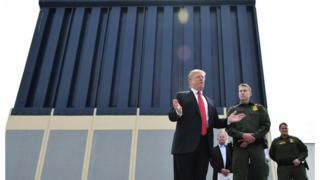 National emergency: Is there a crisis on the US-Mexico border? Trade war: Is Trump serious or just negotiating?